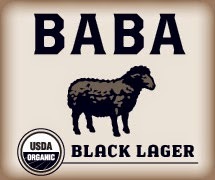 Baba Black Lager By Uinta Brewing...And Its Organic! 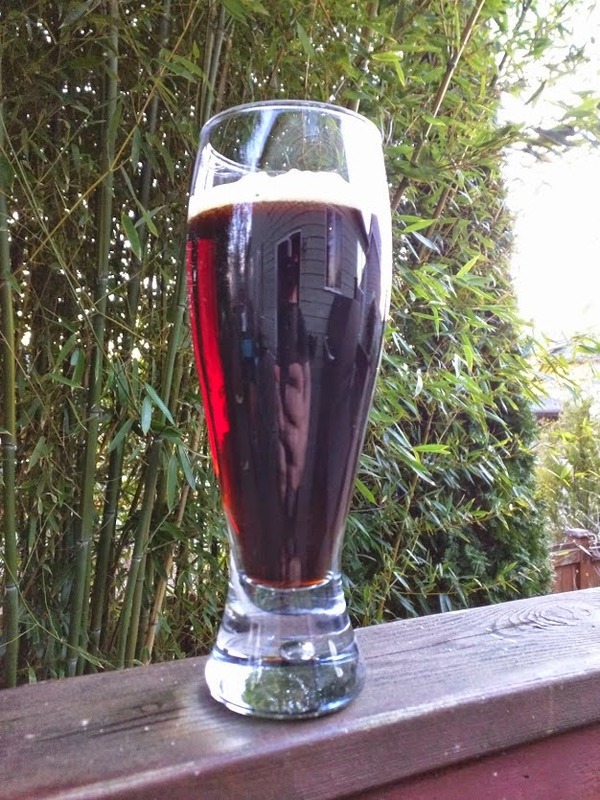 A while back I came across a schwarzbier (black beer or black lager to those of you not well versed in Deutch sprache). It's one of the many, many lagers to come out of the wonderful land of beer, lederhosen, and wiener schnitzel. Light and crisp like the pilsners that we Americans tend to equate with lagers, but made with darker malts that give it more personality and a toasty flavor that takes this style beyond being just a thirst quencher to a light snack all on its own. This is one of the styles I look for frequently to try out different variations. Some are quite good, others don't seem to get the idea of keeping things light and come out overly malty, and others have branched off and created a new style they're calling Black IPA...Don't even get me started on how that name contradicts itself... Anyway, somewhere along the way I got turned on to Baba Black Lager by Unita brewing. It was either my brother or my dad, but I'm hooked. I love this stuff. When I'm in the mood for a black lager this one never fails to hit the spot. Maybe a little embarrassing to order. One may feel a little silly asking the waitress for a baba. In my little notebook that I'm using to try to teach myself to become an expert beer taster I gave this a 35 out of 50. Nearly the highest rating so far, and it is well deserved. As you can see over there to the right, it's dark and clear, very nice to look at as the light shines through, but not much of a head. What little head it has doesn't last long, and there's little to no lacing on the glass. More or less what I'd expect out of a light lager, and more or less what I'd expect out of this. This isn't a huge malty beer, and there's just not a lot to get a long lasting head that you might expect out of something fuller like a porter. The aroma keeps with the trend being light with just a touch of hops. Perfect for me because I'm not a hops obsessed crazy person. I like em heavy from time to time, but there's more to life than searching out beer that tastes like a dead skunk's backside. There's the light smell of the caramel malt, but nothing overwhelming. The taste does not disappoint. Toast, and toasted caramel. As it warms you'll start to get some grain flavor, not too much, but enough to really feel like you can connect with the base ingredients of the beer. None of this is heavy, though. It is light and crisp. Very refreshing. Of course the mouth feel stays right in step with the rest of the beer. Good carbonation, and it finishes light and clean. There you go. I love it, you should love it too.